Mashrafe Mortaza always one of the best captains in National cricket and domestic side. 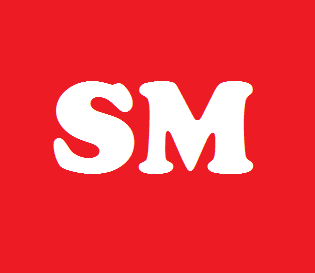 Comilla Victorians were greatly impressed with the leadership of the Mash in last BPL. He going to lead the side once again. BPL announced to be started in November, while the national team captain going to join as the unbeaten captain of the title. 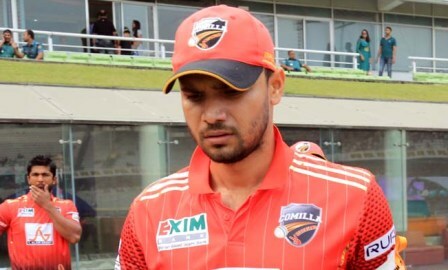 The opening two season he led the Capital franchises Dhaka Dynamites. Where he able to borrow the trophy in their name. Last season he jumped into Comilla and magically grabbed the title. It was really amazing to grab consecutively any competition. And the unbelievable event has been possible for the Mashrafe. The team will be coached by Salahuddin and one is known as the team manager Khaled Masud Pilot, the former player of Bangladesh National team. The both guys will boost the side to achieve the goal. The coach seemed more confidence than they were in past. They hopeful for the trophy as they hijack it in the past. The franchises picked many outstanding local players from the draft list as well as Imrul Kayes, Liton Das, Al-Amin, Saikat Ali and more others. The overseas list has been fulfilled with Shoaib Malik, Sohail Tanvir, Imad Wasim and Khalid Latif from Pakistan. They hired total six Pakistani along with two Sri Lankan and one Caribbean. Thisara Perera and Nuwan Kulasekara became the Sri Lankan cricketer who got called up for the BPL. Here the players list at a glance. Comilla Victorians: Mashrafe Mortaza (Icon), Liton Kumar Das (WK), Imrul Kayes, Nahidul Islam, Mohammad Saifuddin, Mohammad Sharif, Nabil Samad, Mohammad Al Amin, Nazmul Hossain Shanto, Jasim Uddin, Saikat Ali, Rasel Al Mamun, Shahbaz Chouhan, Sohail Tanvir (Pak), Ashar Zaidi (Pak), Imad Wasim (Pak), Khalid Latif (Pak), Shahzaib Hasan (Pak), Thisara Perera (SL), Nuwan Kulasekara (SL), Jason Holder (WI). Captaincy in not everything for a team. For any team it important to set a good captain but all other players also required to support the team. If every player of the team plays for the team, it will get success must. At present Mashrafe finished the Afghanistan series with the joy of winning series. He getting prepare to England series which start from 4th november. It passing very day for Bangladesh Cricket. They going to play a long term series with England. After finishing they have to ready for the BPL widely Bangladesh Premier League. So guys enjoy the event and linked with us to get more news.